Have you ever tried searching for hidden treasure or some long lost coins in your backyard when you were little? At MikroElektronika, we were these kids way back. That’s what got us inspired to make a metal detection Click Board™. 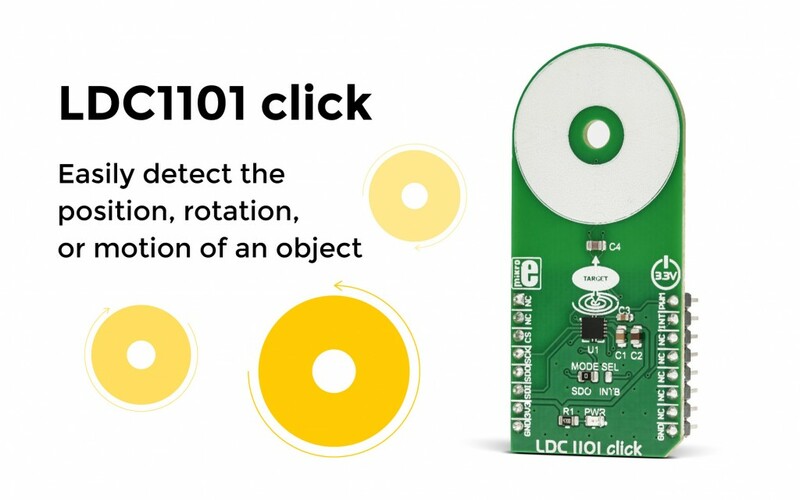 LDC1101 click is an inductance-to-digital convertor Click Board™ you can use for a range of different applications. Depending on the inductivity measurements, you can use it to detect the position, rotation, or even motion of an object, thanks to the integrated LDC1101 inductance-to-digital converter allows both the inductance and the impedance to be measured. Beside metal detection, you can use the LTC1101 click for high-speed object counting, motor speed sensing, for developing various buttons, keypads and other types of HMI-based applications. For more information about the product, please visit our website.